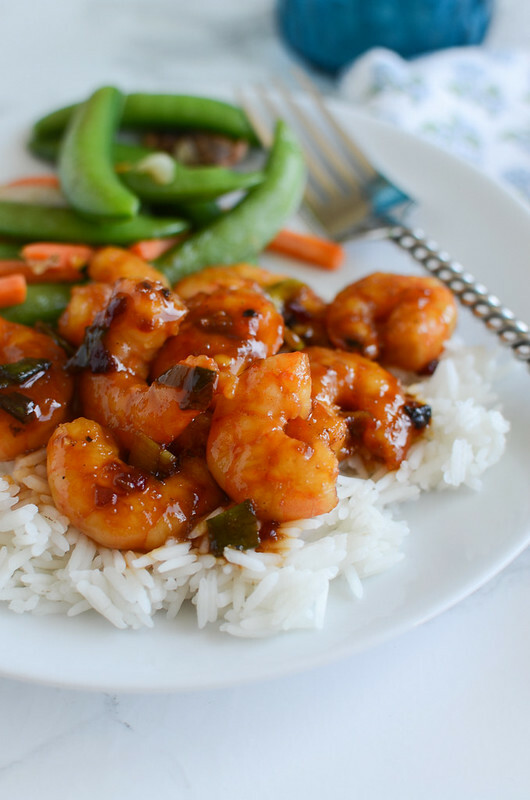 Light and delicious Spicy Orange Shrimp takes less than 15 minutes to prepare and will become a favorite in your house! Serve over rice for a quick, healthy meal! I’m going through this weird shrimp thing right now. A couple weeks ago, I couldn’t stop thinking about coconut shrimp. I called every restaurant in the area to see if they had coconut shrimp. No one had it. So I’ve officially gone through 5 boxes of frozen coconut shrimp since then. I’m having shrimp for breakfast, lunch, and dinner. Fried coconut shrimp is not exactly the healthiest choice so I’m trying to switch over to something a little lighter, a little healthier. And now I’m obsessed with this shrimp. 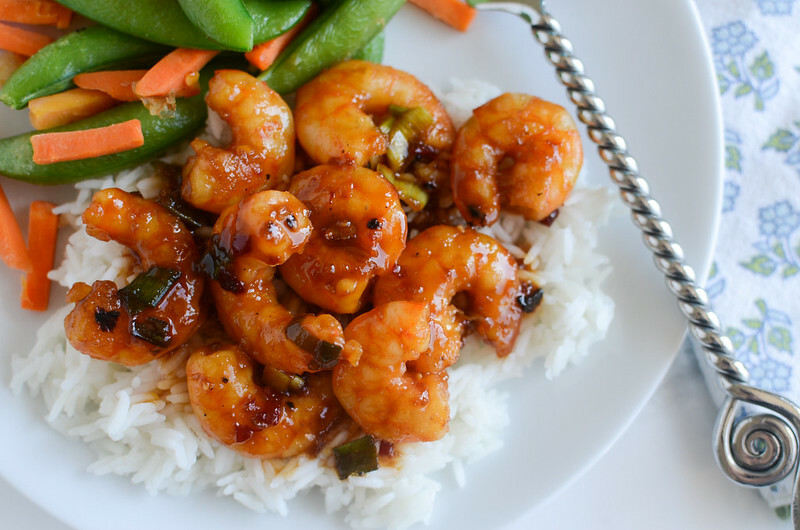 It’s just quickly stir-fried shrimp with a yummy sauce made with fresh orange juice, soy sauce, honey, garlic, ginger… all the good stuff! I serve it over boil-in-the-bag jasmine rice for a super quick (like, less than 15 minutes!) meal! Cajun Shrimp and Grits – spicy shrimp on top of cheesy grits with a little bacon thrown in. It’s all ready in 30 minutes! Garlic Lemon Shrimp – shrimp tossed with buttery, lemony garlic sauce and quickly baked. A great weeknight meal! Bang Bang Shrimp – Bonefish Grill copcat recipe! 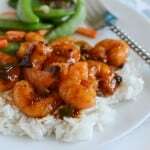 Crispy shrimp in a creamy, spicy sauce. Place shrimp in mixing bowl. Sprinkle cornstarch on top and toss to coat. Set aside. In a small bowl, whisk together fresh orange juice, soy sauce, honey, rice wine vinegar, and chile paste. Set aside. Heat coconut oil in a large skillet over medium-high heat. Add ginger and garlic and cook until fragrant, about 30 seconds. Add shrimp and stir-fry for 3 minutes. Add sauce and green onions to the pan and cook until sauce thickens and shrimp are cooked, about 2-3 more minutes. Serve hot. 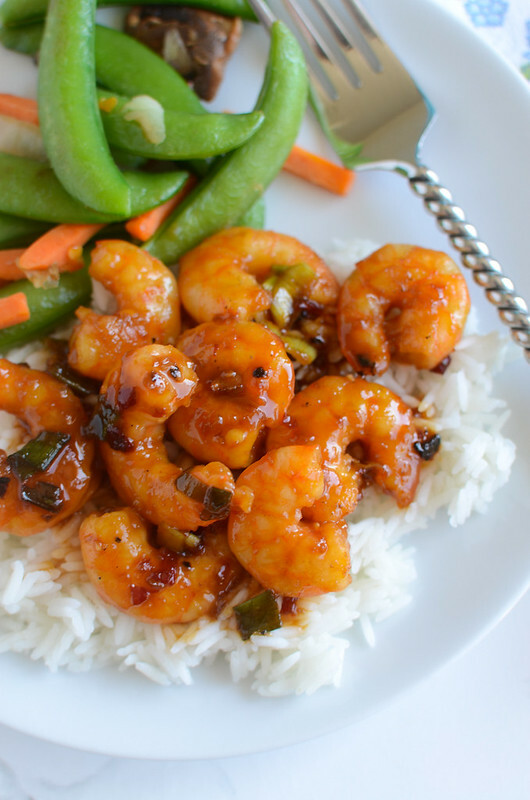 4 Responses to "Spicy Orange Shrimp"
Droooooool! 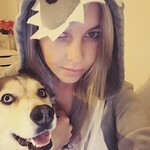 This looks fantabulous lady! I used to make a similar recipe using orange marmalade. I haven’t made it for years since I never have marmalade. This looks just as delicious and buying 1 orange is easy enough. Thanks! Licking my lips! I’m also a fellow shrimp lover! Love this twist!